Garnish your home with fabulous California floral cerise cushion cover by bedding mill. Its lavish and sumptuous design is eye-catching and perfect for creating a modern aura. Beautiful pink flower and with black floral design will add grace and style to your interior. This Luxurious cushion cover is perfect for sofas and chairs. 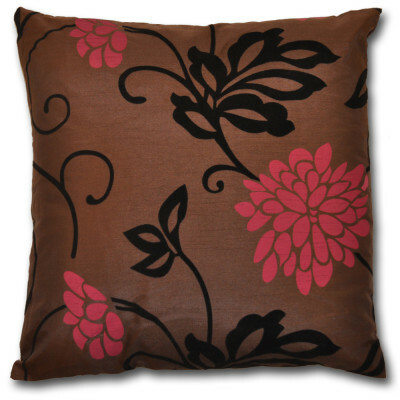 Its high quality faux silk fabric gives a shiny texture to your cushion cover that looks extremely gorgeous. 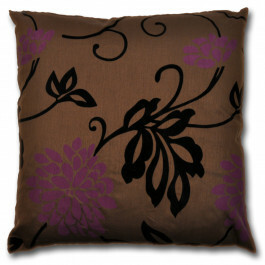 This fabulous cushion cover comes with side zip and in 18" x 18" size to suit every requirement instantly.